I wasn’t entirely sure how to spend my last day in Kampala, as my flight wasn’t until almost 11pm. During breakfast I met a lady named Sasha who’s a freelance journalist/documentary maker born in Italy but lives in London. We chatted for awhile, and ended up spending the whole day together. We did some serious bargaining with our boda man and got a ride to Owino Market, which is the biggest market in Eastern Africa. And let me tell you, it was HUGE!! There were endless alleys of chaos, clothing, bags, and vendors. People saying “hey sister…”, grabbing your hands, wanting you to see the goods that they had for sale. It was definitely a sensory overload, and after a rainfall the night before, was quite a muddy disaster. 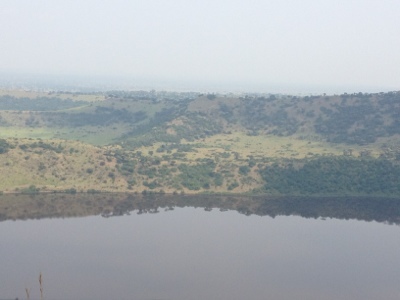 However it was well worth the visit and I highly recommend it to anyone who decides to go to Uganda. 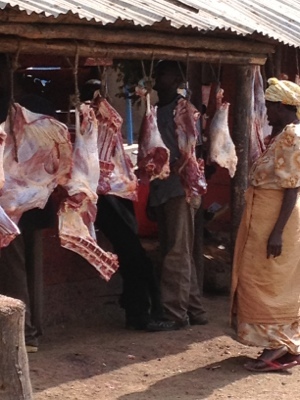 We spent the majority of the day walking around Kampala, checking out the interesting scenery and people. We went for a delicious, “western” lunch at a place called Mish Mash, where I had hummus and pita and the most incredible pineapple smoothie ever tasted! I am definitely going to miss the freshness and amazing tastes of the fruit that they have here! Wow! Ok so rafting on the Nile was something I didn’t at all intend to do. It seemed a tad pricey, and really what would rapids be like in Uganda? Well I was pleasantly surprised!!! It was crazy! They clearly have different guidelines on what a class 4 and 5 rapid looks like – waterfall might be a good way to describe it! So I decided to be adventurous and choose the boat that would be the most “extreme” as they put it. I wanted to have a little fun instead of just floating down the river. I joined 4 guys: 2 lawyers from Toronto and 2 pediatric ICU doctors from D.C. It was an absolute riot! We flipped our boat 5 out of the 8 times and pretty much ended up in a jumbled mess each time. I’m actually shocked and rather impressed with myself that I didn’t lose my contacts! There was only one or well maybe two times where I questioned if I would return to the top of the water. It’s crazy how powerful the rapids are, tossing you around like a washing machine. There’s really no way to avoid it except to go along for the ride. Our guide was pretty phenomenal. He actually competes for the Uganda National Kayaking Team and has travelled all over the world for competitions. Impressive I would say. I fell into the tourist trap and ended up buying a cd of photos because they were quite amusing to see, especially the boat on the last rapid, Nile’s Special. You’ll have to wait to see those snapshots. Wow! Queen Elizabeth National Park is FAR!!!! About 7-8 hours in a van bus is a tad too long. Thank goodness it’s a beautiful place and I met some nice Swedish, Italian, and Austrian people. After a long drive up we stayed at a place called Simba Safari Camp. Just a little dorm room for the 8 of us but good little place regardless. Our first day we did a crater lake drive and saw these gorgeous craters, giant in fact! We followed the actual route that Queen Elizabeth went on. Ok, they even built a little pavilion for her where she sat and watched the animals. Oh too be a queen. 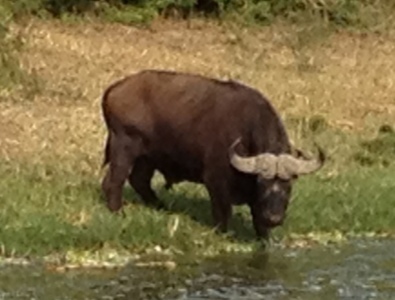 We also did a boat ride on Kazinga Channel where we saw some hippos, buffalo, and ton of birds. It was a pleasant little ride. The following morning we got up bright and early for our game drive through the park. And after about 20 minutes we saw LIONS!!!!!!!!!!!! A mama and three little cubs. Oh my goodness!!! I don’t even know how to describe how amazing of an experience that was! WOW!!!!! Three times to Africa and I’ve finally seen them. They are incredible creatures. Yup, my life is officially complete!! A nice little trip and only a few days left before I head home. 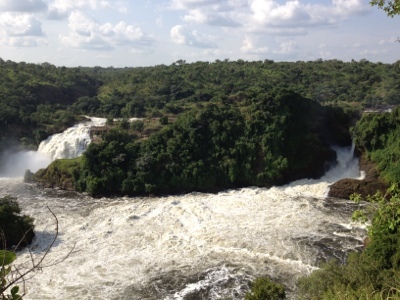 Tomorrow I’m going white water rafting down the Nile! Eeeeeek!!! 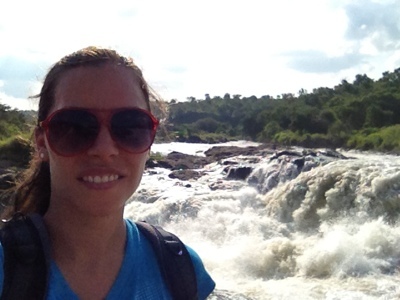 I just got back last night from Murchison Falls from an amazing adventure. The falls were absolutely stunning and well worth the visit. I also met some lovely people along the way. Two Brits Jen and Dave were just charming! While there we did a hike to the top of the falls that led us to gorgeous views of both Murchison and Freedom falls. The following morning we went on an early game drive where we essentially saw every animal but the lion and zebra. Elephants are definitely still my fav though!!! I just love those things. In the afternoon we went on a boat cruise around the falls (it was pretty incredible to be on the Nile) where again we saw tons of hippos, crocs, and many stunningly colourful birds. I think this is definitely a place to be for bird watchers. On our last day we drove back to Kampala and stopped at the Ziwa Rhino Sanctuary. It is the only place in Uganda (besides the Uganda wildlife education centre which has 2 rhinos) that have rhinos. In fact they have 12! Due to poaching there are no rhinos left in the wild so this place is studying them and trying to rebuild their population for hopefully reintegration of them into the wild in the far future. It a wonderful plan but I think is going to take many years for it to happen. They need to build their herd up to 40 before they can even begin to consider it and definitely need more education to the local people. This morning I’m on route to Queen Elizabeth National Park for 4 days where I really hope I can see some lions!!!!!!! So I finally made it to Kampala after what seemed like the longest drive ever! On the way home we stopped and visited Umar’s family which was an interesting experience. They are Muslim and the women only came into the room to serve food and drinks with a bow. It was a little awkward for me but I guess just something to add to my experiences. 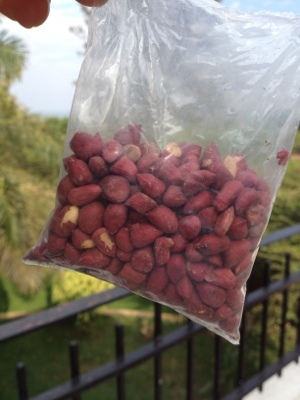 So I’m staying at a place in Kampala called red chilies. A backpacker place you could call it but should be good for the night. 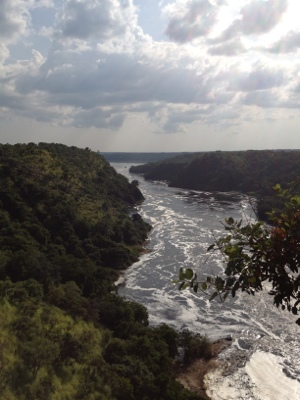 I’m going to murchison falls tomorrow with them so it should be fun. They are suppose to be gorgeous and I love waterfalls so I’m quite excited. I’ll be doing a hike, boat cruise, and rhino trekking! Yay! I’ve included a couple of pictures I tried to upload earlier. 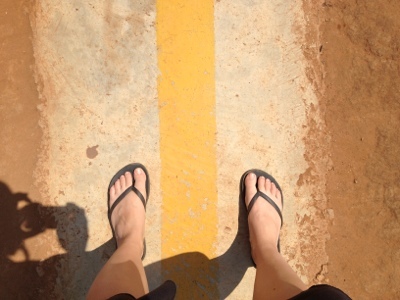 One is crossing the equator. Pretty neat! The rest are just for your viewing pleasures! 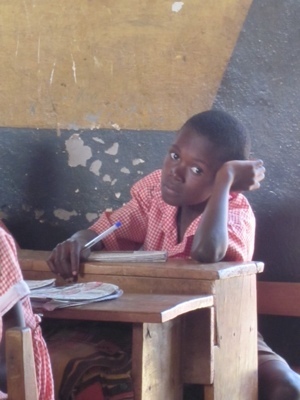 I don’t even know where to begin to describe this experience, and I think it is going to take a week or two, or maybe more, for me to begin to digest the things that I’ve learned and reflect upon the inspiration that I have received from the 35 Ugandan teachers that I’ve worked with the last week. Their abilities have exceeded any preconceived notions that I had, and their dedication to learning as much as possible has risen high above any expectation I had. I have learned more from them, then I think they have from me, as they have truly accepted the meaning that one person, by doing even the smallest thing, can make a difference. They are inspired to change the future of Uganda and to help improve their environmental conditions…although this is a huge concept in itself, as teachers, they have accepted the responsibility that they have to educate the youth and future citizens; as it is these young children that can aspire change in their country. Annet – She is probably the strongest woman I’ve met here with a big personality! She never hesitates to speak her mind, rallies up the others, and motivates everyone to do their best and try their hardest. 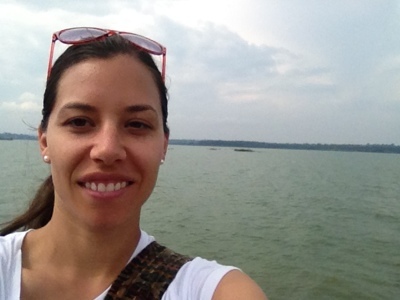 Geneva – Her love for teaching is abundant is everything she does. She is soft spoken yet when she stands in front of an audience becomes this amazing motivator. I can only imagine what her classroom must be like, as her love for children is apparent in all of her actions. Alex – This man is like a sponge, soaking up everything that is said, asking questions, inquiring on everything. I can only imagine the places he would be able to go if he was given the opportunity to attend university and broaden his learning even further. He is so keen to be the best he can be and learn as much as he can. Hariet and Faridah – These 2 young ladies are 2 peas in a pod and are something to be reckoned with. They questioned everything, volunteered answers, argued with individuals, and always challenged what was said. They continued to absorb everything that was said. If Uganda can continue to produce teachers like this, I can only imagine the change that will occur. Through this workshop, we spent time teaching these individuals how to integrate environmental education into all aspects of teaching, whether it be math, science, LA, or social studies. 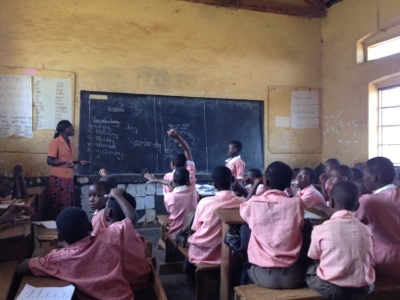 We taught them new teaching methods such as cooperative learning, experiential learning, body language and it effects on teaching, and multiple intelligence. It amazed me how quickly they grasped these new concepts, and were able to integrate them into a lesson that they presented to us. We took the participants on a forest walk, where many of them this was their first experience ever stepping foot in a forest. Their fear and lack of knowledge about animals, wildlife, and the ability to coexist peacefully astounded me. Yet through this all, day after day, it was apparent the change that was happening with each of them. The resistance and negative attitudes on the first day disappeared by the last. They were open to new ideas and really want to work hard and together to make a difference. At the end of the workshop, they coordinated together as a group, to arrange for monthly meetings, appointed a chair person, and will meet to share their ideas and work together to create lessons and formulate change in their schools. What an amazing group of people to work with. At the end of the workshop, they presented myself and my colleague Ted, with a wood carving of a gorilla, as a token of their appreciation. This touched me in words that I cannot even describe, and when I had to give my final words, emotions over took me (man, I hate it when that happens!). This is definitely an experience that I will never forget and I truly hope that I can bring home with me even half of the love, dedication, and appreciation that they have. We drove out to Kibale National Park and spent two days there enjoying the gorgeous, lush forest atmosphere. 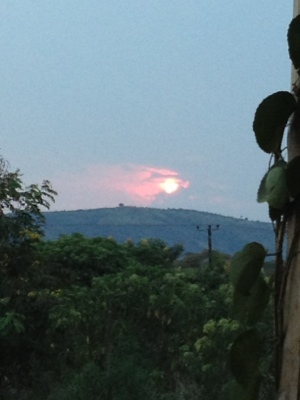 It took about 2 hours from our location in Kasese. 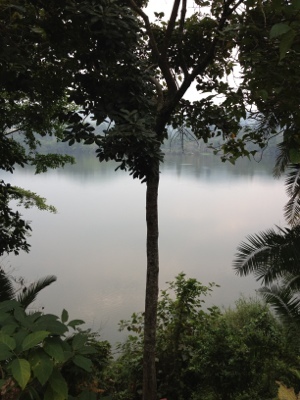 We stayed at a place called CVK resort which offers a gorgeous view of one of the 5 crater lakes. We stayed in a little Banda, which in iteself is pretty wonderful! No running water so it just felt like a great camping experience, African style. The owner, David, is an amazing guy who I spent many hours talking to about his life, and current situation in Uganda. He is a well educated professor, having gone to school in the UK and Australia, and currently owns this lodge. He took us on a lovely nature walk, where we seeked out a “humble hippo.” I guess this hippo left, or was driven out of Queen Elizabeth Ntaional Park, and currently resides by his lonesome self in their area. Although we never saw him, we did see evidence of his giant footprints along the path, and heard his breath as he came out of the water. The nature hike was definitely off the beaten path but led to breathtaking views of 3 different crater lakes. They call the view “Top of the World” which definitely characterizes the incredible view that you see. We woke up at 6am the following morning to do some chimpanzee trekking in the National Park. On route we saw 2 troops of chimps; one in the trees, and one we trekked on the ground. It is amazing to see these primates in their natural habitat and to be reminded about how similar we truly are to them. It still amazes me to see them move and do things so similar to the way that we do. This was definitely an experience that I will not forget! On a walk around town we stopped in at this primary school where we were greeted by the head master, who then took us to a class and had them sing their environment club song to us. It was beautiful and I truly enjoyed it. 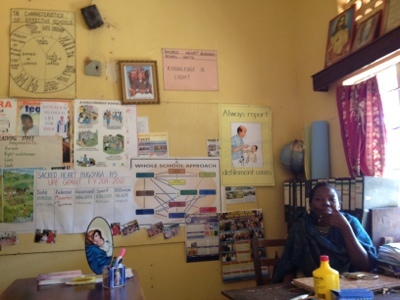 This was a government school and I could definitely noticed the difference in the supplies, posters, and teacher attitudes. As a side note…teachers here make $100/month. We headed back to Kasese last night and are currently reviewing our workshop details and getting started this afternoon. I cannot wait to meet these eager teachers and am looking forward to learning from each and every one of them! Sorry for the lack of photos…no wifi here and internet access is very slow and limited! After a morning of final planning for the workshop, and a delicious lunch (g nut paste is my new favorite thing to put over rice!) we headed to the Imperial Botanical Gardens. 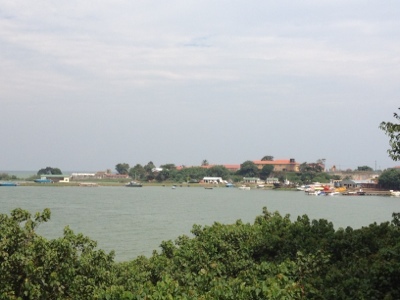 It is a beautiful park of mostly local trees right on the coast of Lake Victoria. 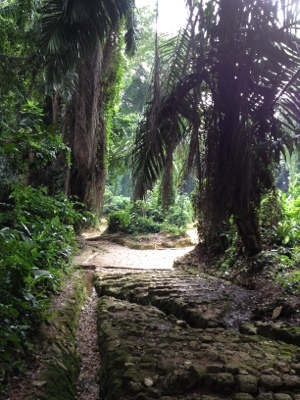 It was phenomenal to feel the instant change in humidity and air quality as we were surrounded by a dense, lush forest. 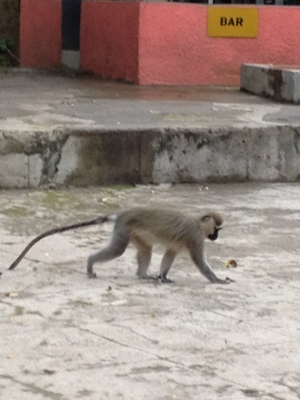 We saw the infamous Colombus monkey along the way, numerous gigantic trees, and of course the gorgeous lake. It was an afternoon well spent! On the way home we stopped at a “roadside nursery” where we purchased a mango tree to leave at the JGI centre in Uganda; the place we’ve been staying at. 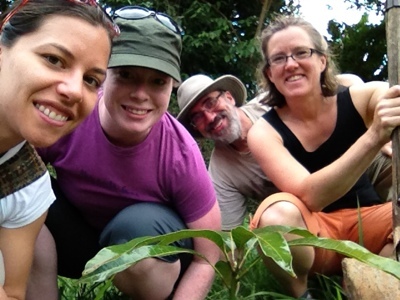 It’s a pretty tiny, grafted tree, but they say in a year or two should start growing mangoes. How incredible will that be? Tomorrow we are off to our workshop location in Kasese. It is going to be tough to leave all these amazing people that we’ve met at JGI in Entebbe, but I’m looking forward to what will come next. This morning we finished our planning for the workshop for next week. We only have some minor details and reviewing tomorrow with Umar to go over before we are “officially” ready. 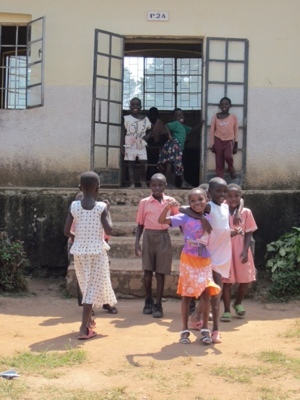 We spent the rest of the afternoon at Sacred Heart Bugonga Primary School which is a school right in the neighbourhood. After a little tour I spent the rest of my time in a primary 4 class, equivalent to grade 4. The teacher had 58 students all placed in a tiny room. They seemed to be giving their best and funniest sentences today. There were definitely some cheeky little guys in class, as you find everywhere really. The most interesting part was when Umar came in before leaving to chat with the kids and talk about JGI. He posed the question what should you do with plastic bags and kids either said put it in the rubbish bin or burn it! It’s sad to hear them respond this way, especially since they do have recycling facilities available, but again just proves and reaffirms that what we are doing here is incredibly important and needed for future Ugandans. On our way to dinner tonight we followed singing voices and were led to a Catholic boarding school where the children were out singing. I tried to upload a video onto here but can’t seem to figure out how to use it. So you’ll have to wait to see it once I return. Sorry! 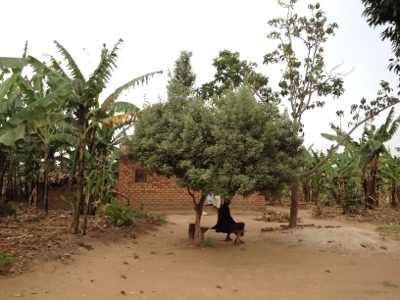 Below are pictures from Bugonga Primary School. 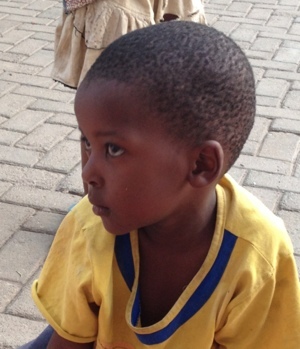 This morning we were picked up at 9am and drove to Kampala to spend the day. Our driver Godfrey was simply lovely, and made the ride interesting. We learned all about his life-his polygamist father who has 40 some odd children all together. His view on family and life was very different from what I expected; the need to have a job, house, and be able to provide for a wife before he will even be married. We met Umar in Kampala and he took us to the place where our environmental workshop books are being printed. They are done by these huge machines and print out 4, 81/2 by 11 papers as one giant sheet which then have to be cut into 4 and hole punched. Always a different way to do things. Next we went to National Theatre where we spent awhile looking at the different crafts there (probably far too long in Umar’s mind! Or any guy’s really). We did a quick stop at the Ndere Cultural Centre, hoping to see a traditional performance but unfortunately they only have these in the evening. Our last stop was at the Uganda Museum. I will say that this is probably the best African museum I’ve been to. They had lots of interesting artefacts including a hippo harpoon! Overall a busy day. 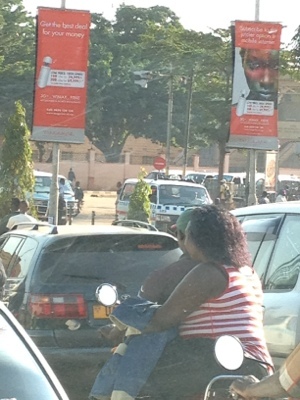 We did get stuck in a typical traffic jam on the way home, and Kampala was slightly draining. 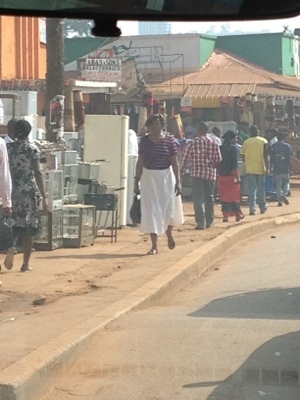 Very typical large African city: lots going on, hustle and bustle, cars and people everywhere. I will say though it is the friendliest African city I’ve been to. 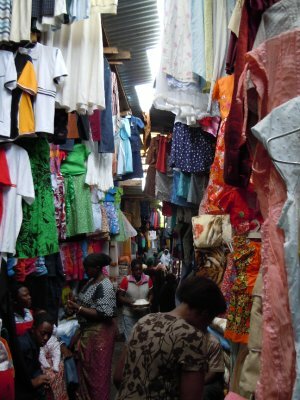 No haggling, no stares, and not being called mzungu! Thank you Kampala!!! 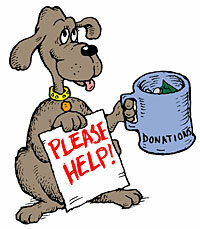 Buy Tickets to Fundraiser Event!